Facilities Management of a large private or public facility can present daily challenges. The last thing a facility manager wants to deal with is a clogged sewer or an ejector pump clog. Unfortunately sewage today is worse than ever – full of rags, disposable wipes, paper towels, sanitary napkins, mop heads and other material that pumping systems were never designed to handle. This results in toilet backups, expensive ejector pump clogs, repairs and even worse cause raw sewage spills. The problems do not stop at the facility’s on-site pump station. Often locations that are known for discharging sewage with heavy solids, like hospitals, nursing homes and jails will cause clogs at the local municipal pump stations. The municipal waste treatment operator will often demand the facility take some action to resolve the problem. 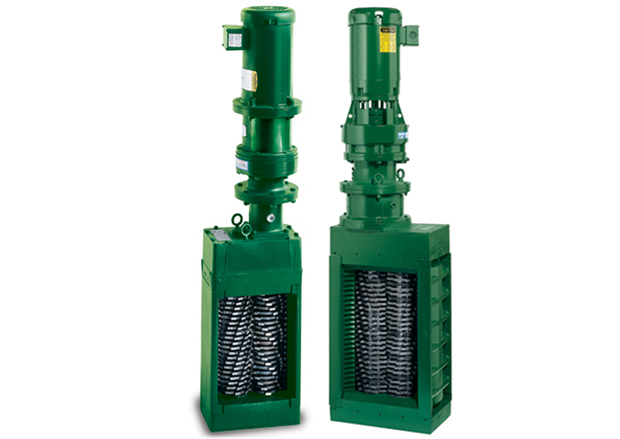 JWC’s Muffin Monster sewage grinders are the industry leading solution for putting an end to a facility’s pump clogging and ragging issues. JWC’s grinders shred debris before it reaches the pumps and have been used in municipal sewage systems worldwide for over 40 years to cut through tough solids and keep them pumpable. These powerful and energy-efficient grinders can handle almost anything that comes down the drain to keep sewage flowing and ejector pumps clear. The Muffin Monster inline grinders fit 4” (100mm) or 6” (150mm) sewer lines inside office buildings, universities, institutions, shopping plazas, nursing homes, hospitals, apartment complexes and more. Its compact size and ability to install sideways or even upside down makes it easy to fit the grinder almost anywhere in the building. Grinders are typically installed on the suction side of the pump and as close to the problem area as possible. 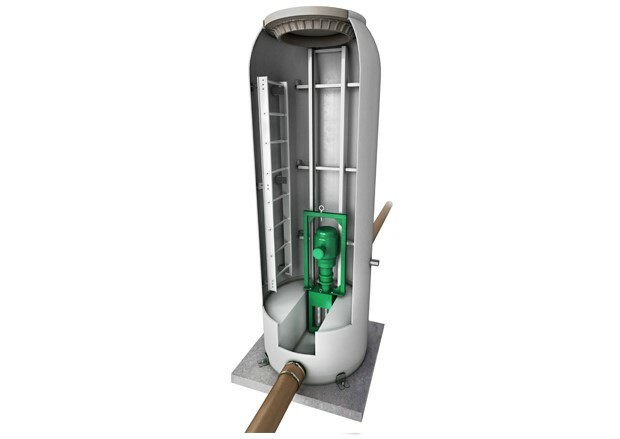 Another frequently used solution for facilities management is the 30K & 40K Open Channel Muffin Monster which installs inside an underground sewer vault or pump station on the owner’s property. 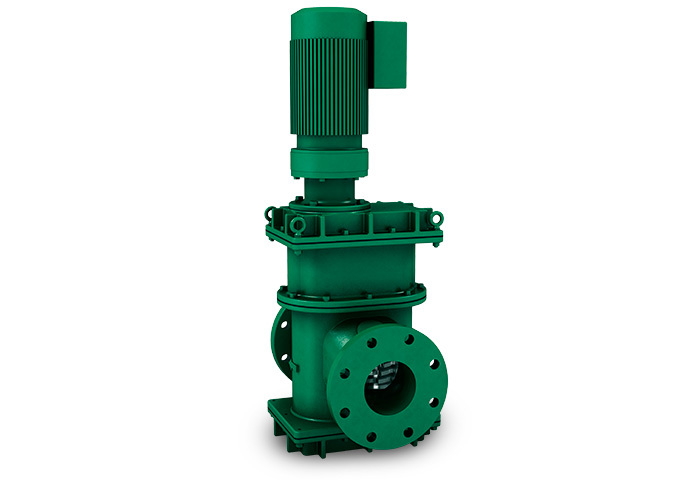 It is mounted within a customized stainless steel frame made specifically for the problem pump station. It is very common for municipalities to demand that a facility install a Monster grinder from JWC to precondition the sewage with heavy solids before it is discharged from the facility into the municipal collections system. Municipal wastewater professionals know that Monster grinders will solve the problems for both the facility and the municipality. 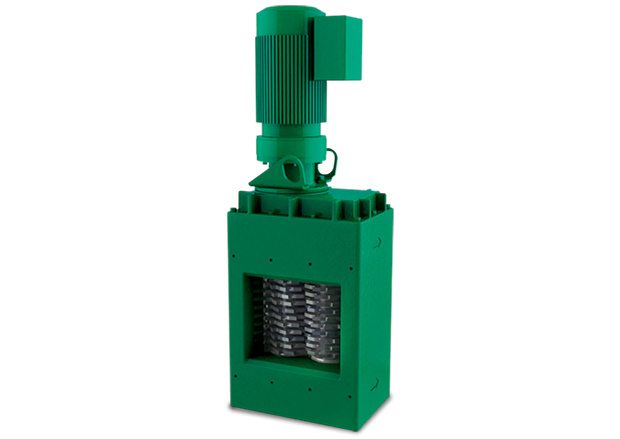 Another solution JWC offers is the Muffin Monster Manhole, a pre-assembled and ready-to-install sewage grinder manhole. This fiberglass reinforced polyester (FRP) manhole is an excellent solution when a sewage grinder is needed but there is not enough room for conventional installations.